Although few things in life can ever be said to be certain, it would seem pretty pretty certain that each day of the year contains 24 hours. Well today, clocks will actually run a smidgen longer than all the other days of the year as a "Leap Second" is added to accommodate the Earth being a bit slow lately. The reason for the slightly longer than usual day is in order to bring atomic clocks used to keep track of time back in line with the speed the Earth rotates around the sun. Atomic clocks have been used since the 50s but as the Earth's speed can fluctuate when travelling around the sun, sometimes a "Leap Second" needs to be added to keep atomic time as accurate as possible. Atomic clocks keep track of time in a highly accurate fashion by emitting a single pulse every second. However, whenever the Earth's speed changes enough then leap seconds were first introduced back in 1972 and since then have been used 24 times including at midnight tonight. We all remember Y2K and the pandemonium that ensued during he countdown to the millennium with regards to technology. Well, leap seconds can also cause havoc with computer systems and the last time we had one, back in 2012, giant websites such as Reddit and LinkedIn crashed due to the 61 second minute that year. 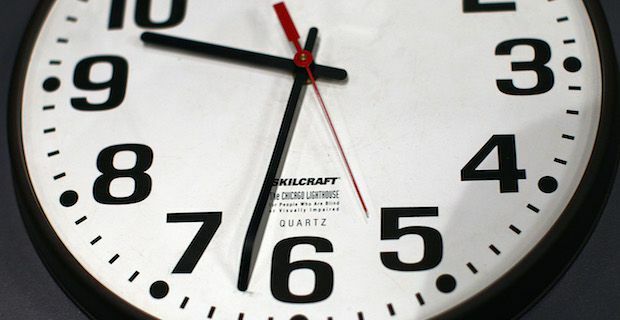 Not to be caught out a second time, Reddit's engineering chief McKinney Blount said "We have been collaborating with other industry experts to mitigate any possible effect of the leap second on our systems and we'll be watching during the event to quickly respond to any unforeseen issues that may arise."